The host of the event, Democracy Alliance, describes itself as “the largest network of donors dedicated to building the progressive movement in the United States” and “play[s] a leading role in fostering the infrastructure necessary to advance a progressive agenda.” As a rule, the identities of attendees and members are kept from the public, but The Washington Free Beacon obtained the list, which included Ross — an allegedly unbiased reporter. Ross’ portion of the discussion was explaining to the attendees how to get “the economic narrative right” ahead of the 2018 election and beyond. Instead, Ross and the once-esteemed Post have become “the research and reporting arm of the left,” Gainor added. Members of the secretive liberal group who attended the shady presentation each promised to donate at least $20,000 to advance its left-wing agenda. The session was part of a three-day conference at the luxurious La Costa Resort located in Carlsbad, Calif., last week, where the group plotted their 2018 “resistance” and game plan, according to the Beacon. 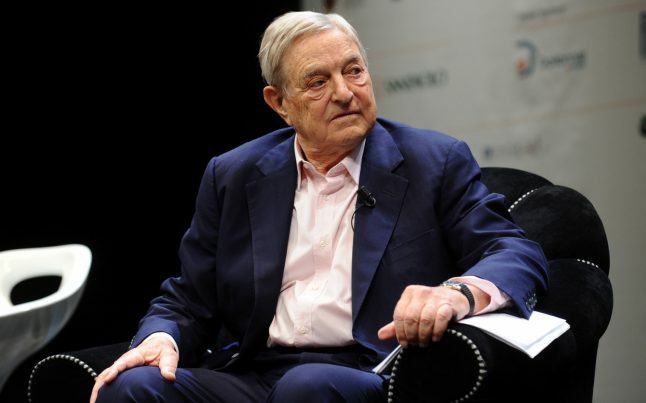 Soros was introduced by a video message from Sen. Kamala Harris (D-Calif.) and House Democratic Minority Leader Nancy Pelosi, according to the paper. While it’s surprising that a reporter from the Post would appear at such a partisan event, a quick glance at Ross’ archive page on the paper’s website reveals her agenda. One headline lumps President Trump into the same category as O.J. Simpson, while others touch on issues of race and gender discrimination. She covered the 2016 presidential election closely, but the majority of her stories appear to be anti-Trump in retrospect.